note - This will take several days to complete as I'm still in the process of making the necessary spacers and sleeves to make it all work together. - I converted my F4 (which had F4i wheels...previous owner) to a 600RR swing arm and GSXR 750 forks, both of which are designed for a 25mm axle (GSXR 750 and 600RR forks both use 25mm axles). 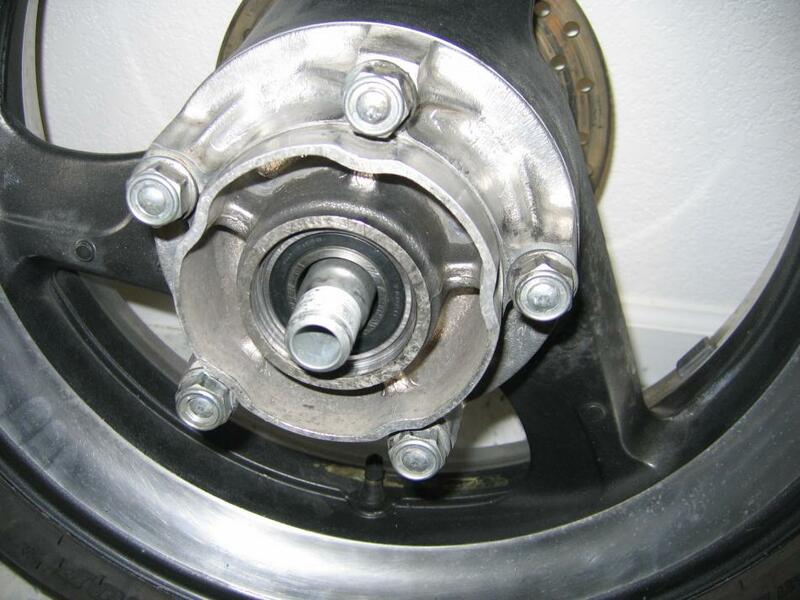 F4/F4i wheels use a 20mm axle. 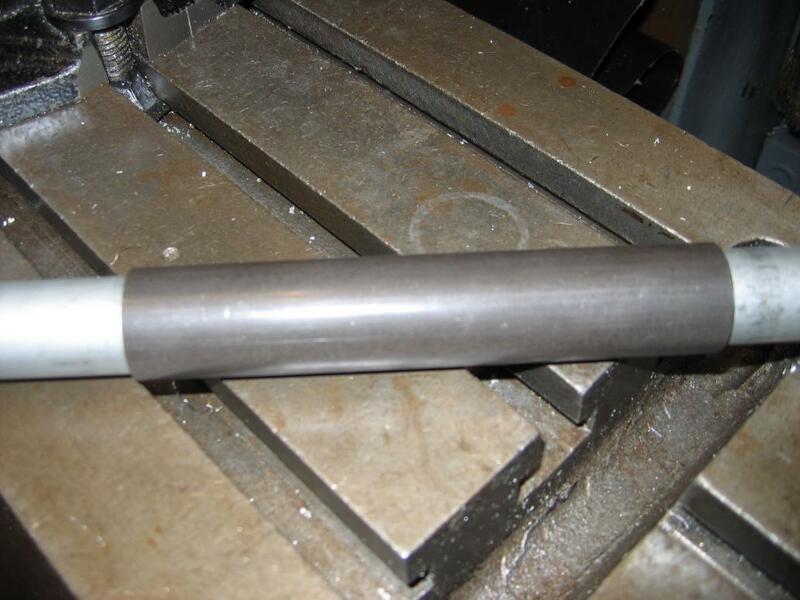 - My first option was to make spacers, but I ran into all sorts of headaches on the front wheel/fork. At this point I would have sold/swapped my F4i wheels for 600RR wheels, but nobody want's F4i wheels (when you have something and want to sell it, nobody wants it....that's life). So, I decided to be adventurous and just convert my F4i wheels to work with the larger 25mm axle. After doing considerable searching, I came up with the best match of beings available. They aren't "ideal" as they require some spacers and sleeves (depending on where they are being used), but they will work fine once everything is adapted up. 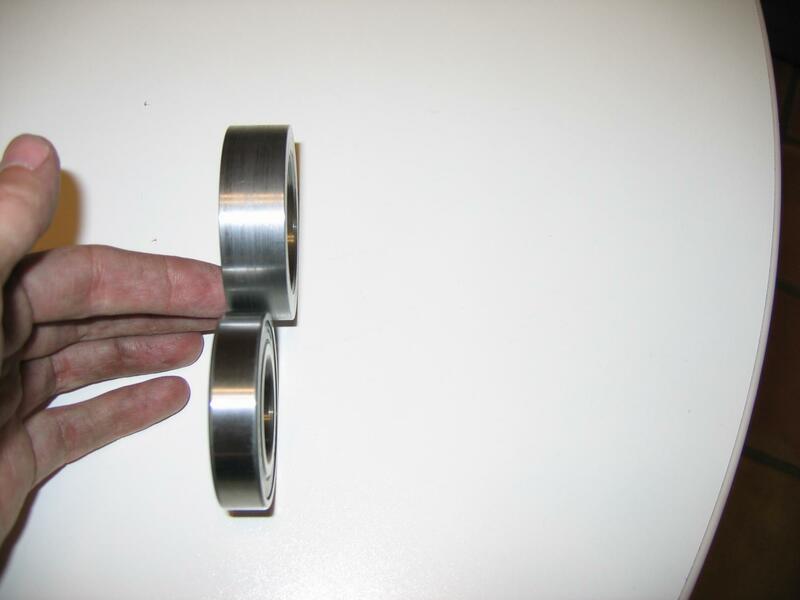 Here are the measurements for stock and conversion bearings, as well as the part numbers I used for the conversion bearings and seals. 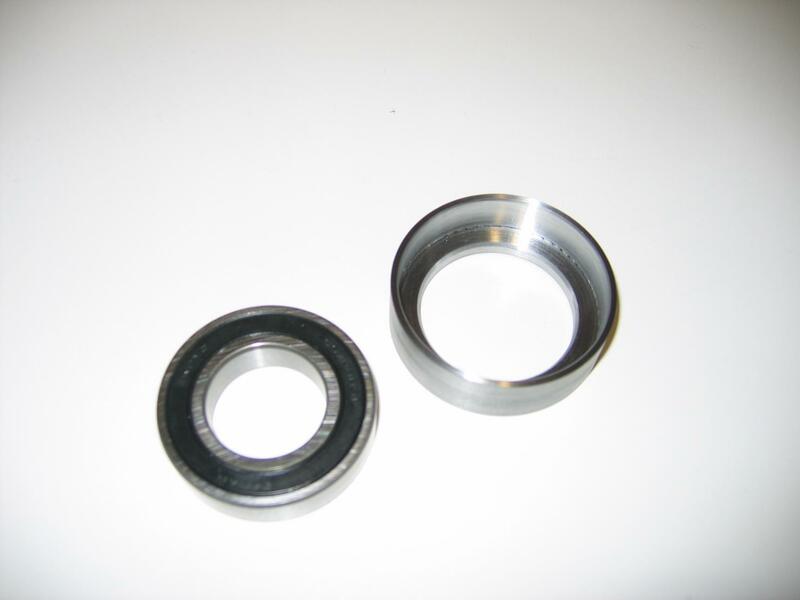 The Cush Drive bearing and seal are 600RR parts. 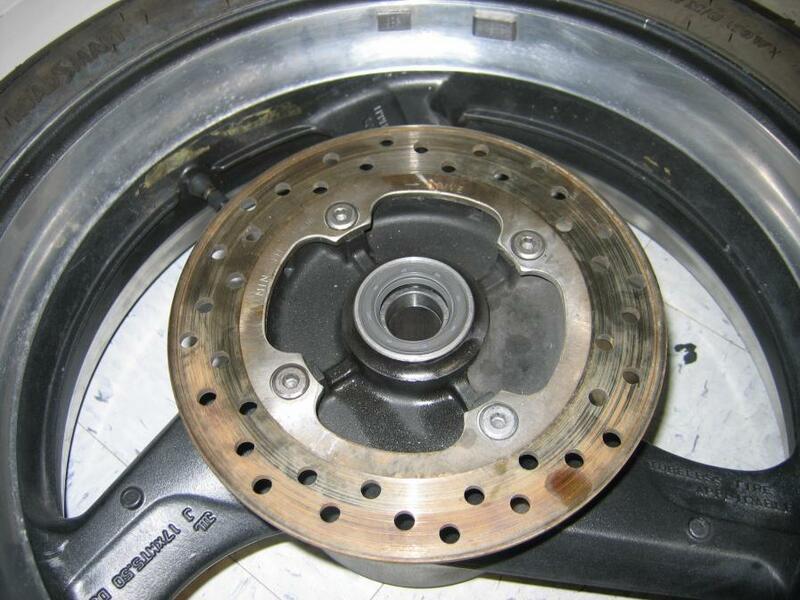 They can be ordered from a bearing supply shop, HondaPartsHouse.com, or the dealership. Yeah yeah..... had to wait for the initial post to be approved. 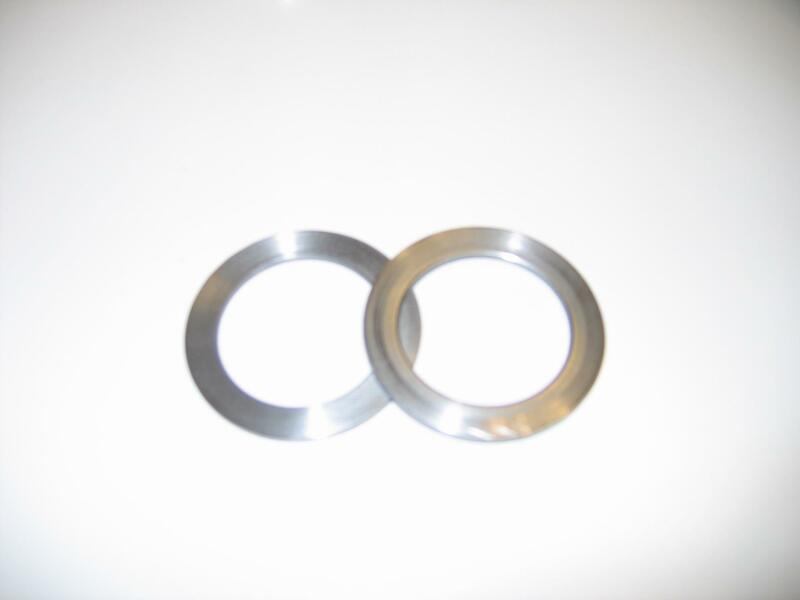 Here are the spacers I made today for the rear wheel bearings. 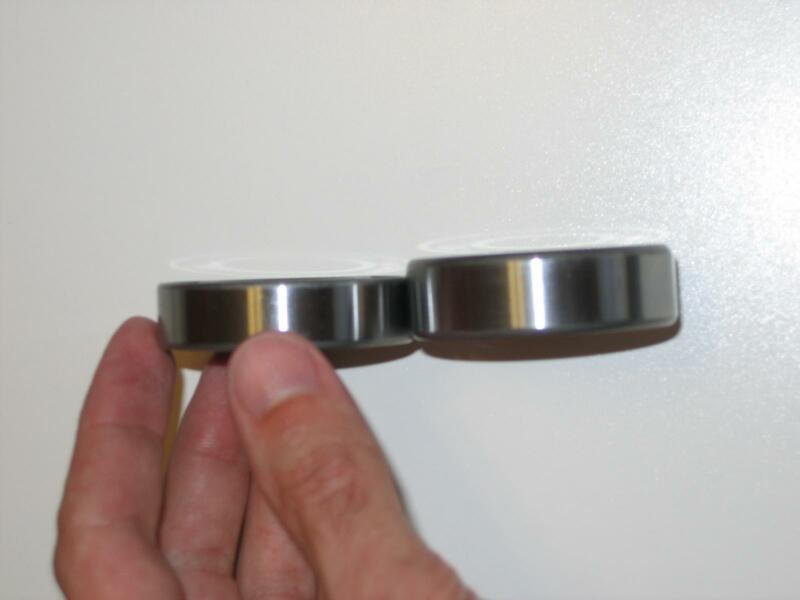 They are 2mm thickness in order to make up for the 12mm vs 14mm bearing thickness. 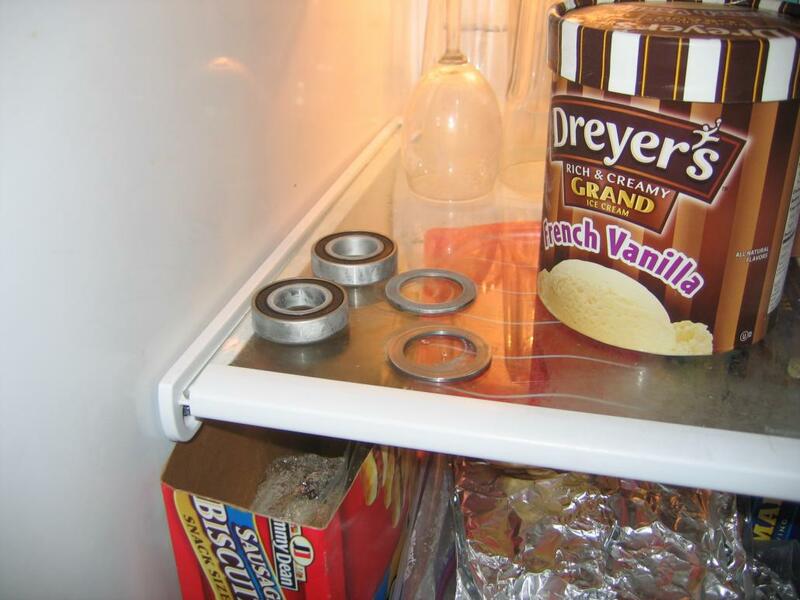 And yes, that's the bearings in my freezer. 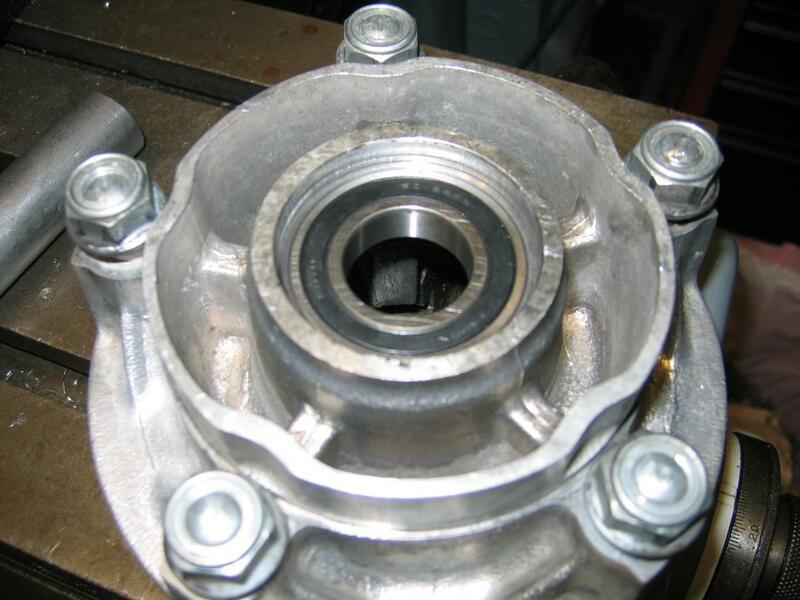 Trick to installing bearings is to put them in the freezer for about 30 minutes. 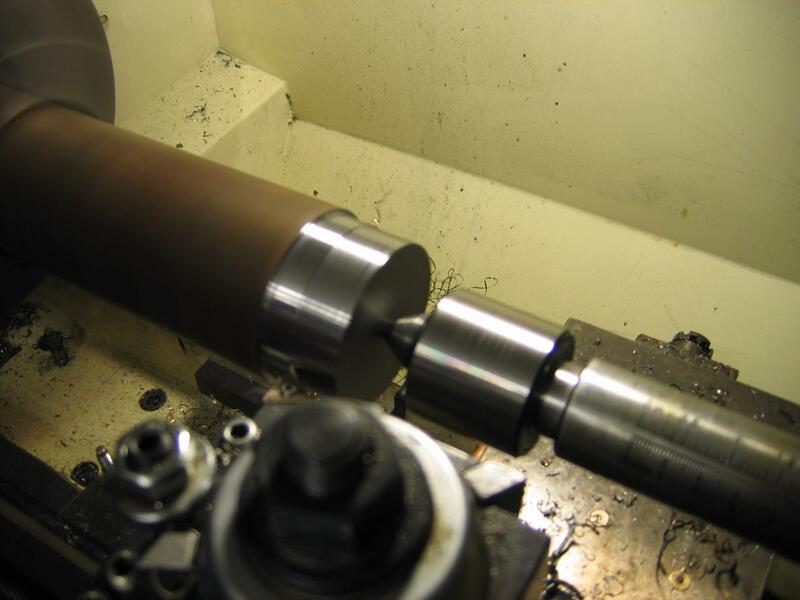 It causes them to shrink slightly (0.0005" or so) and thus go in without so much force (less chance of damaging the bearings). Last edited by segraves1; 08-10-2011 at 08:45 PM. Got a good bit done today. The rear wheel and cush drive have bearings in and I'm ready to start making spacers. There will be LOTS of pictures so I'll have to upload in stages. 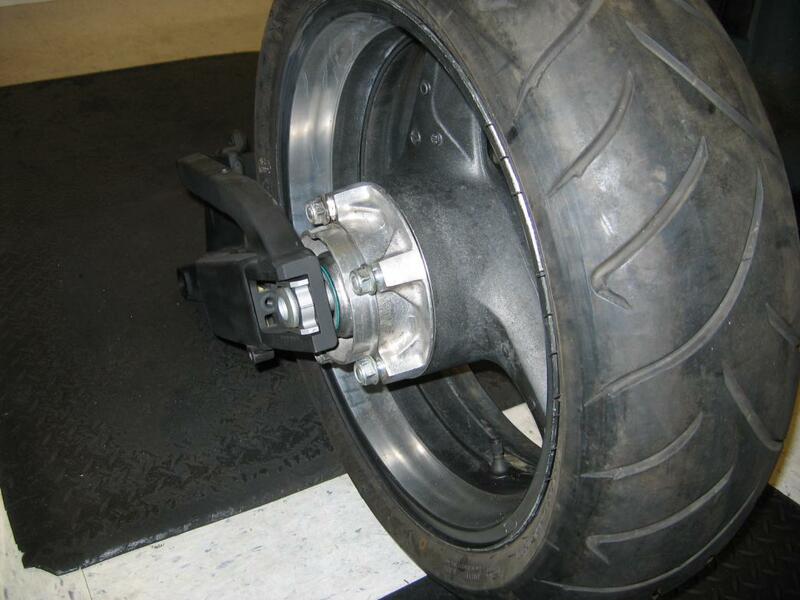 First, there is a 1-1/8" hole (on one side) in the wheel that aligns the inner-wheel spacer. Because the 25mm axle requires a bigger inner-wheel spacer (the tube between the bearings), I felt the need to open the hole in the wheel up a bit. I "could" have left the hole the stock size, but I felt better having some extra space. So, I got a 1-1/4" drill bit, made a drill guide to keep the bit straight, and drilled the hole out. 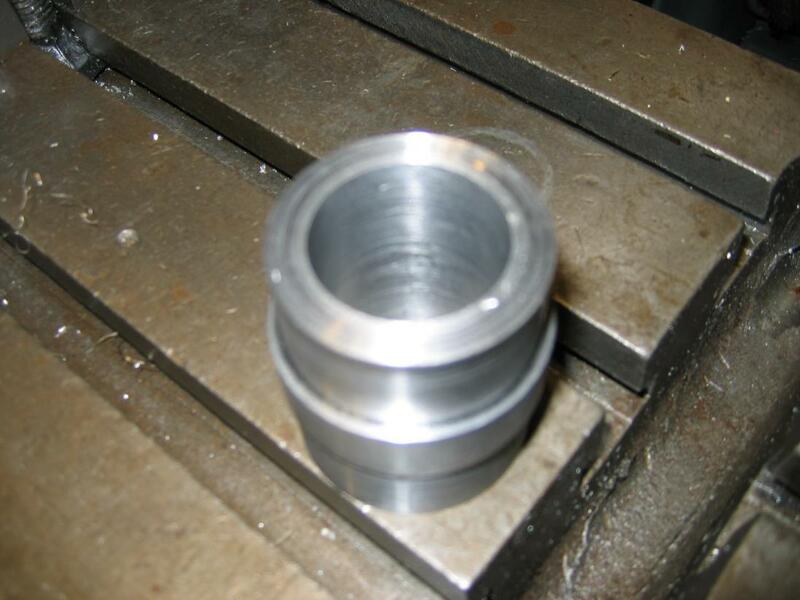 So, the first picture shows the wheel after drilling to 1-1/4". 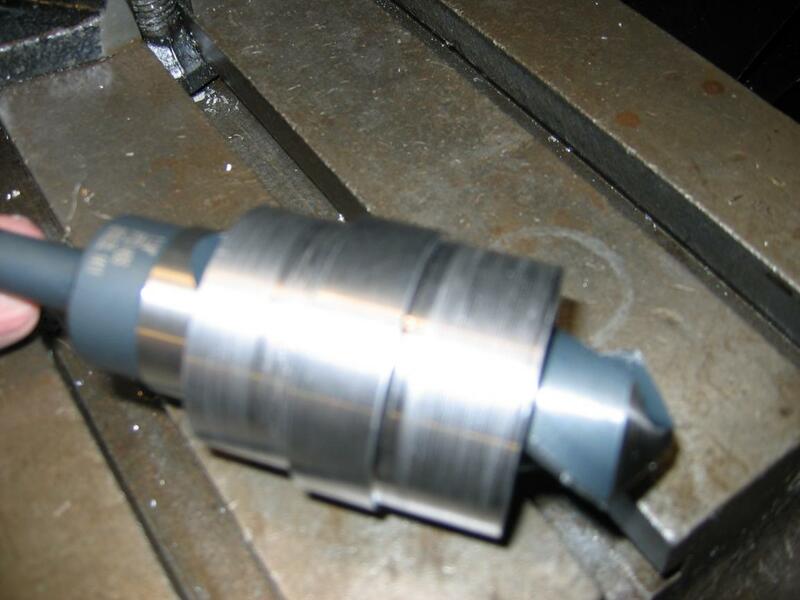 Next 4 picture show the drill alignment bushing, the drill bit, and the pair sitting on the wheel. These three pictures involve the inner wheel spacer (the big sleeve/tubes that "float" inside the wheel between the bearings). 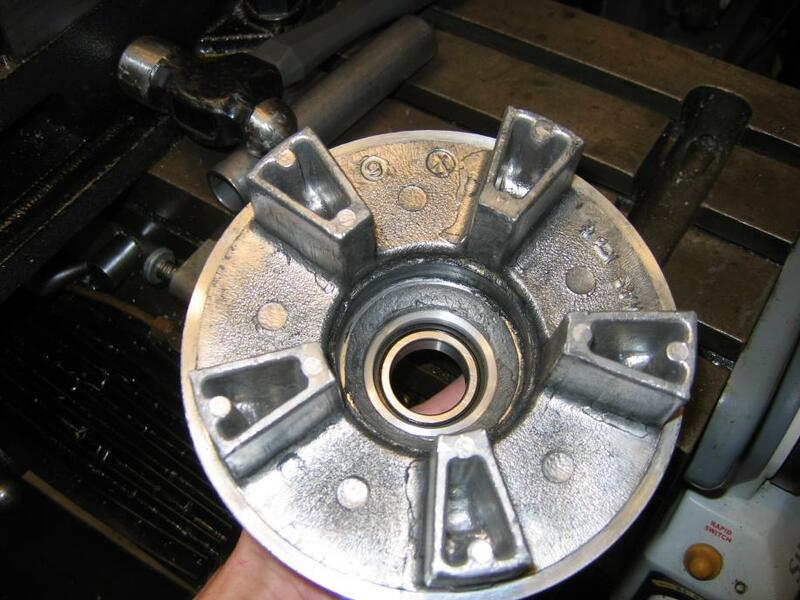 These take up the clamp loading from torquing the axle, thus preventing the bearings from being destroyed. 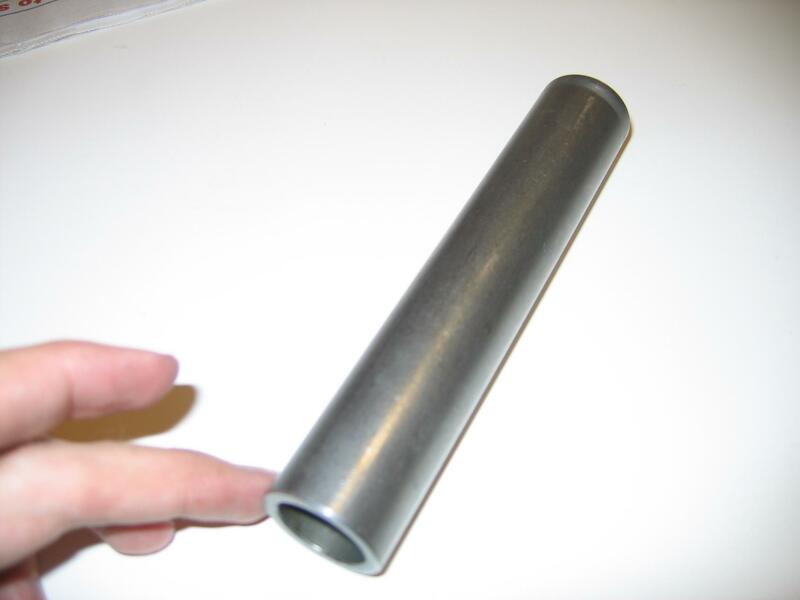 Without these tubes, the torquing of the axle bolt would put significant side-loading on the bearings and destroy them. I ordered 0.995"ID/1.125"OD material from McMaster-Carr. 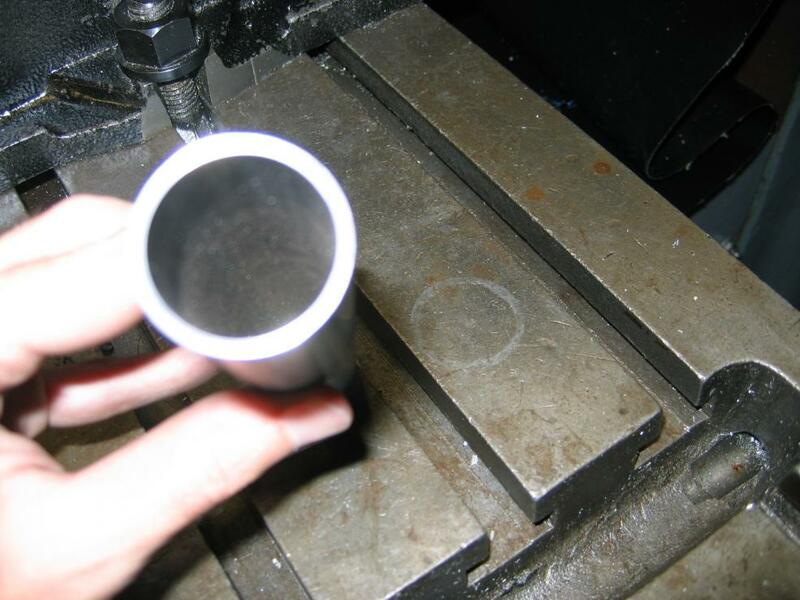 It saved me a lot of effort in machining, though it only came in a 6' section so now I have 5' left over (spares? lol). Because the new wheel bearings are 12mm vs 15mm, I had to make the inner wheel spacer a bit longer than the factory piece. 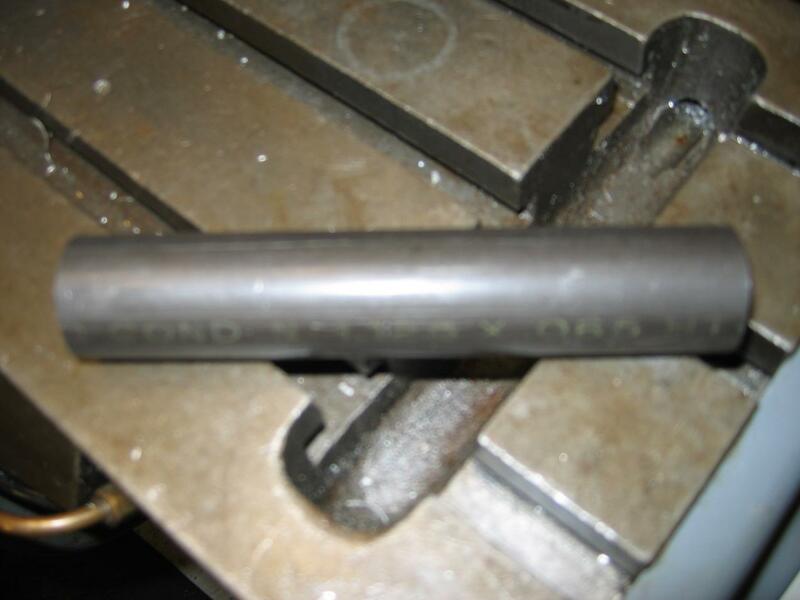 It was a slow process of taking 0.010" off at a time till I got it the right size. Last edited by segraves1; 08-10-2011 at 08:46 PM. These three are the finished rear wheel (less cush drive). 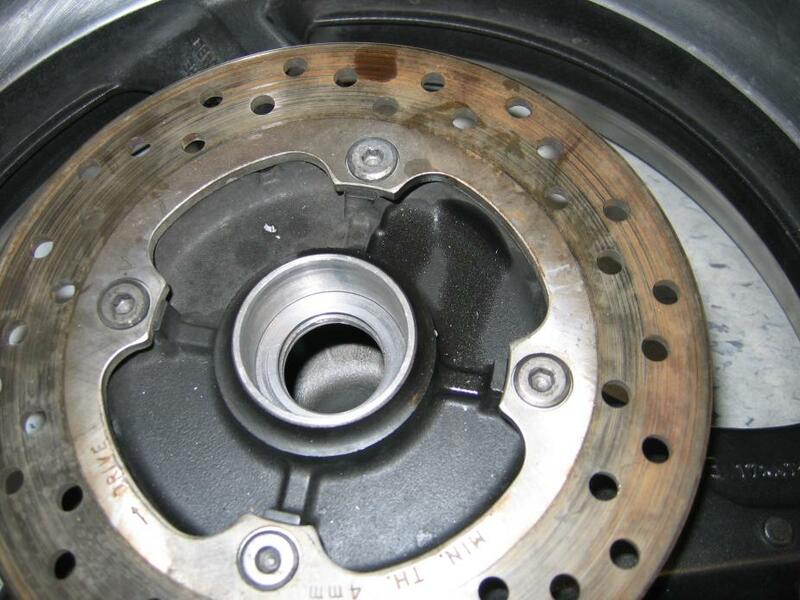 The bearings are in and the new seal has been installed. 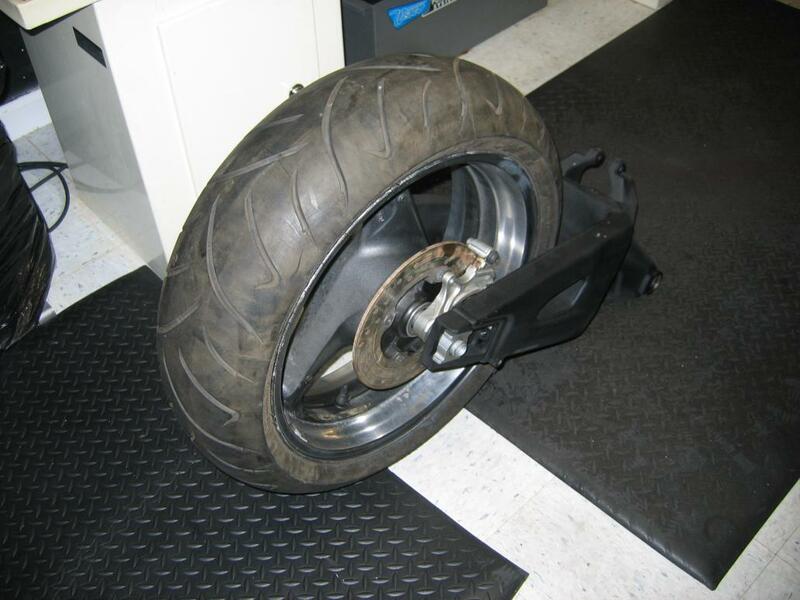 A F4i rear wheel that takes a 600RR rear axle! You are seeing a world first ever....right here on CBRforum.com! Now the cush drive. 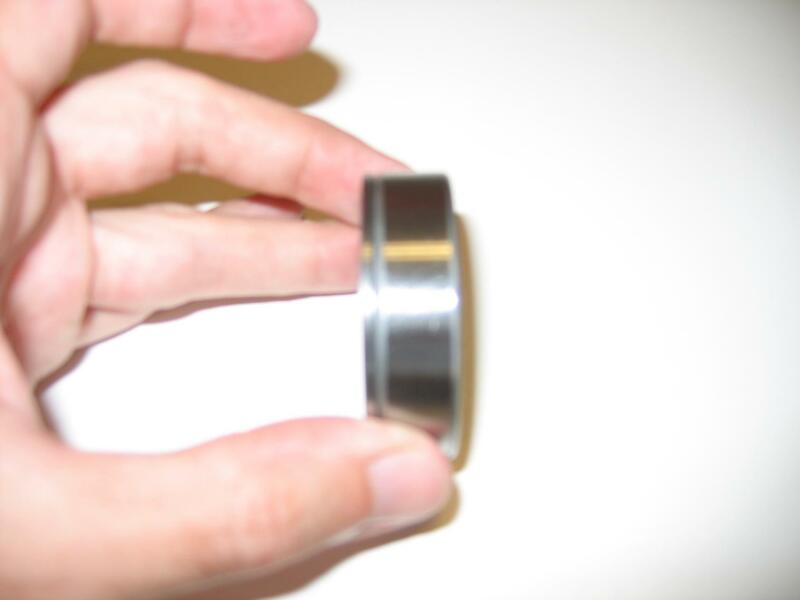 The stock F4i cush drive bearing is 17mms wide, has a 56mm OD, and a 20mm ID. I looked all over for a 56mm OD, 25mm ID, 17mm wide bearing, but no luck. So, next best thing was to go look at the 600RR cush drive. The 600RR uses a 52mm OD, 28mm ID, 12mm wide bearing, so I decided to go with that bearing (and seal since the seal is actually a 56mm OD seal and will install directly into the F4i cush drive). 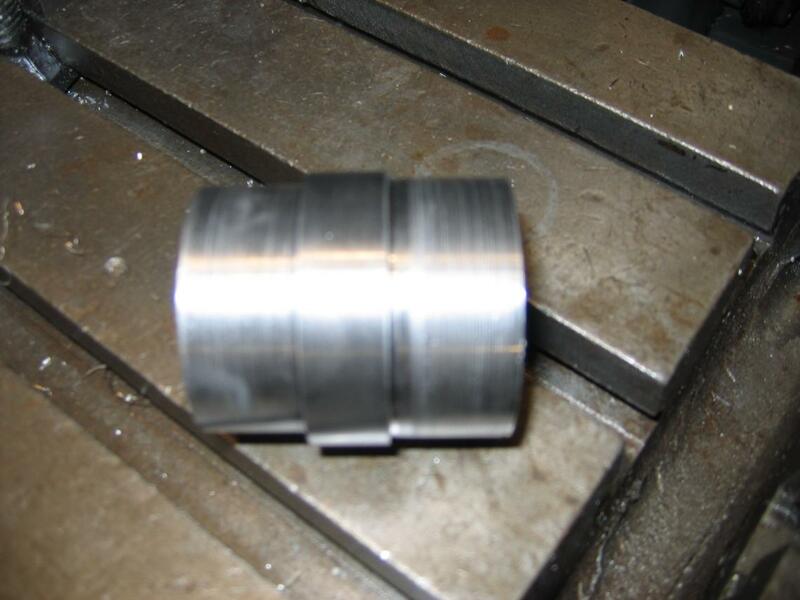 So, to make the 600RR bearing work, I needed to make a sleeve that would both make up the OD and width. Now to install the cush drive bearing sleeve and 600RR bearing. As I did with the wheel bearings, put both the bearing and the bearing sleeve into the fridge for about 30 minutes. 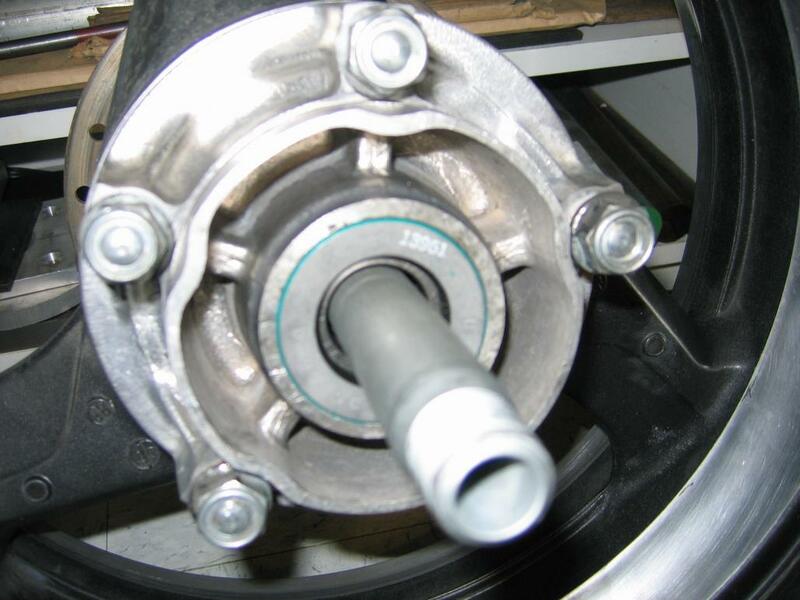 This causes the parts to shrink and therefore install with less force. 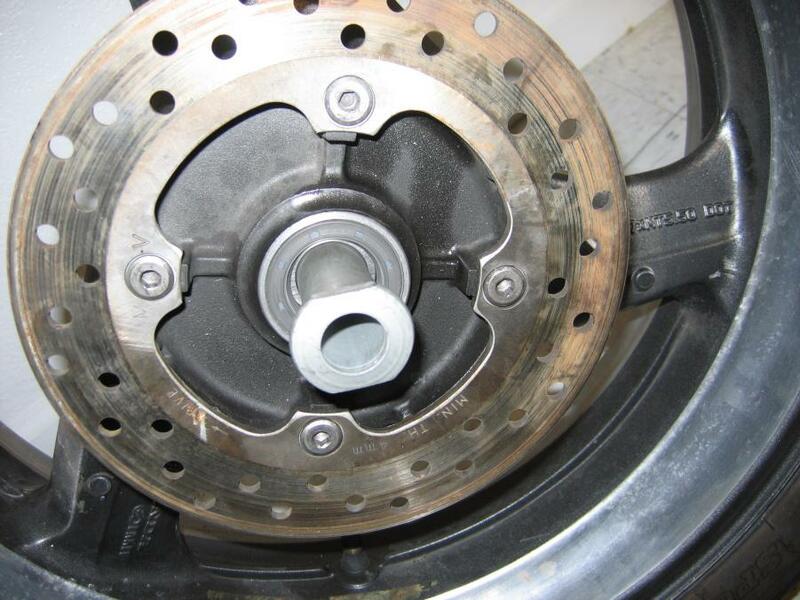 All pictures are just different angles of the 600RR bearing and bearing sleeve installed into F4i cush drive (picture #4 shows on wheel with 600RR seal installed). 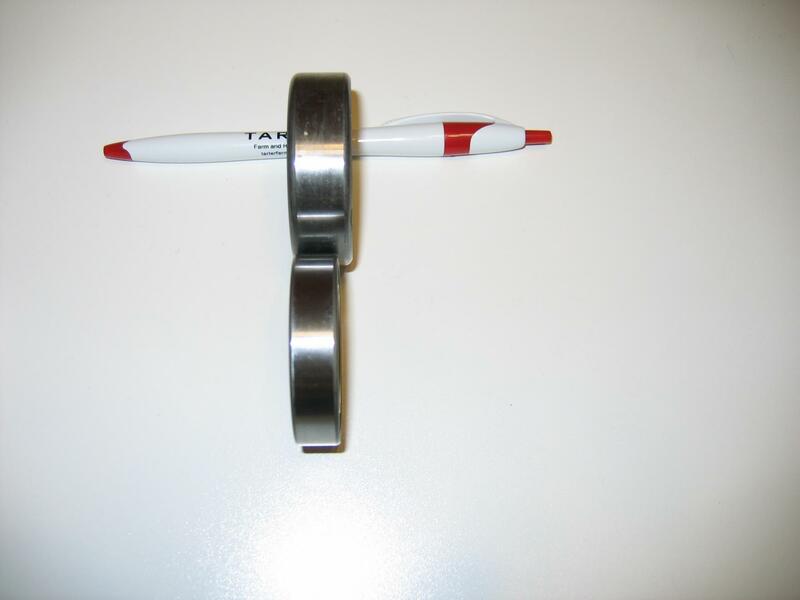 Note: When I made the bearing sleeve, I made the ID of the sleeve a slip fit for the bearing (could slip the bearing in and out by hand). 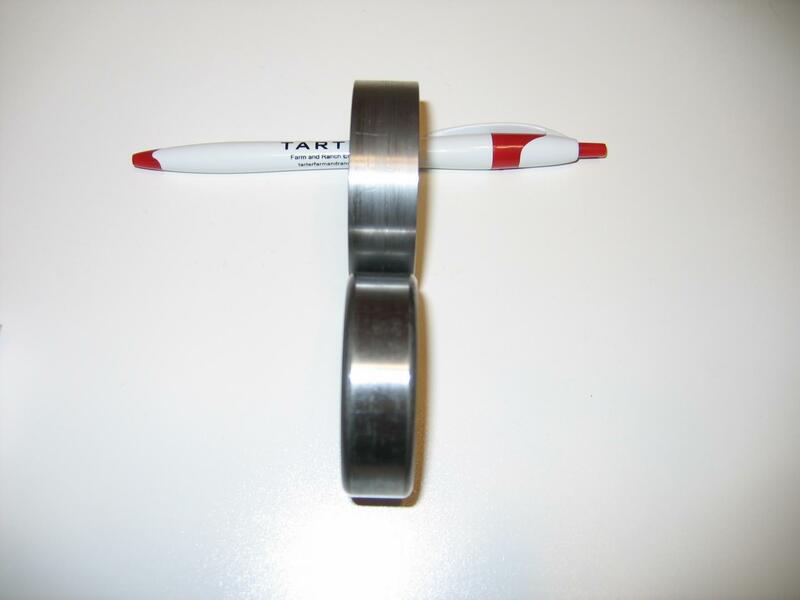 The reason for this was that when the bearing sleeve gets pressed into the cush drive, the "press fit" of the sleeve in the cush will cause the ID of the sleeve to compress slightly (on the order of 0.0005" or so). 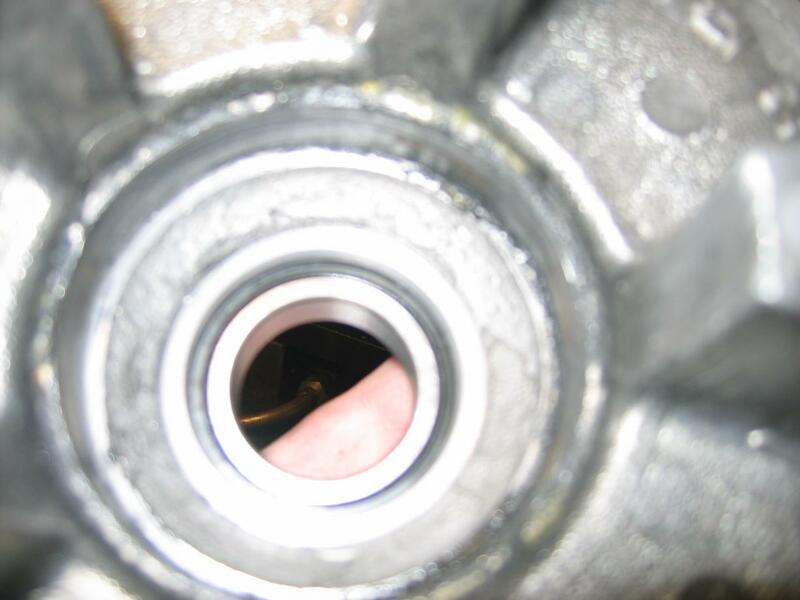 Thus, if the ID were originally a press fit of the bearing, with everything installed it would be far too tight on the bearing. As it is, pressing the sleeve in the cush tightens the ID up to cause the bearing to press fit in, resulting in everything fitting just right. So, the point being, keep tolerance (or in this case press fit) stack-up in mind. Last edited by segraves1; 08-10-2011 at 08:42 PM. 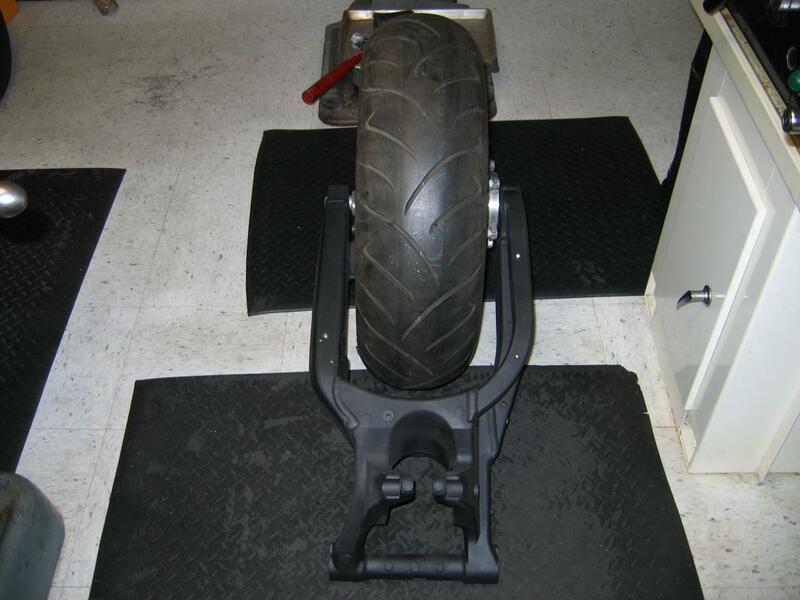 So I got antsy and just couldn't wait to see the rear wheel mounted on the swing arm, so I just did a mockup. I still have to make all the necessary spacers to align the wheel in the swing arm, but I'm pleased none the less. Great project. thanks for sharing it with us. u had better keep all that data, as i'm sure someone will be wanting u to make them some parts. 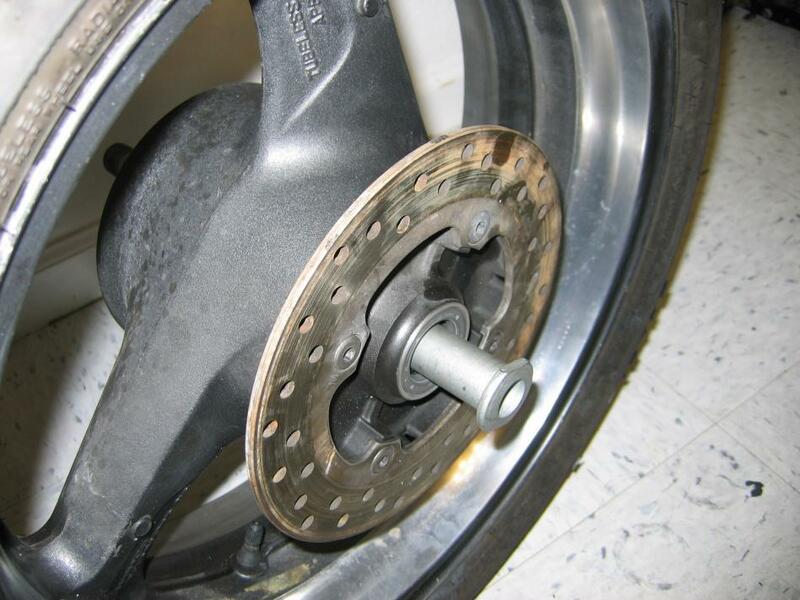 are the f4 rear brake parts a slam dunk or will u need to mod the carrier ?